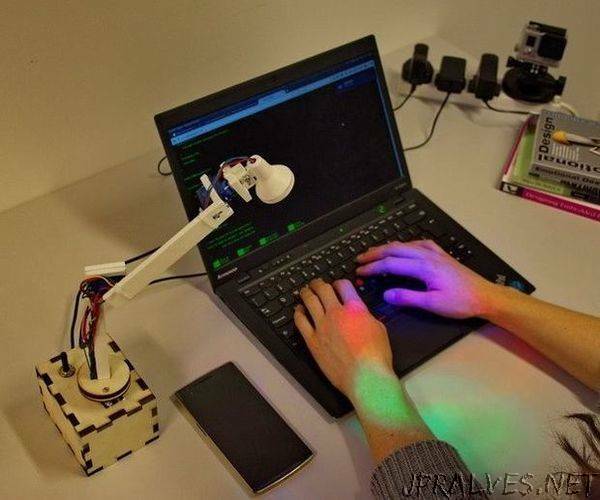 “Here Ill show how to make a simple, little actuated desktop lamp using arduino and servo motors. Ill also tell you how you can alter the motors so that you can record manipulations and therefore enact movements with the lamp that the lamp can then repeat. With this you can teach your lamp various movements.